Sometimes a new on-court arrival shakes things up. The Dunlop ball is no exception. Developed to the highest standards, using the latest technology, it's ready to take its place as the official ball of the ATP Tour - the centre of world tennis. 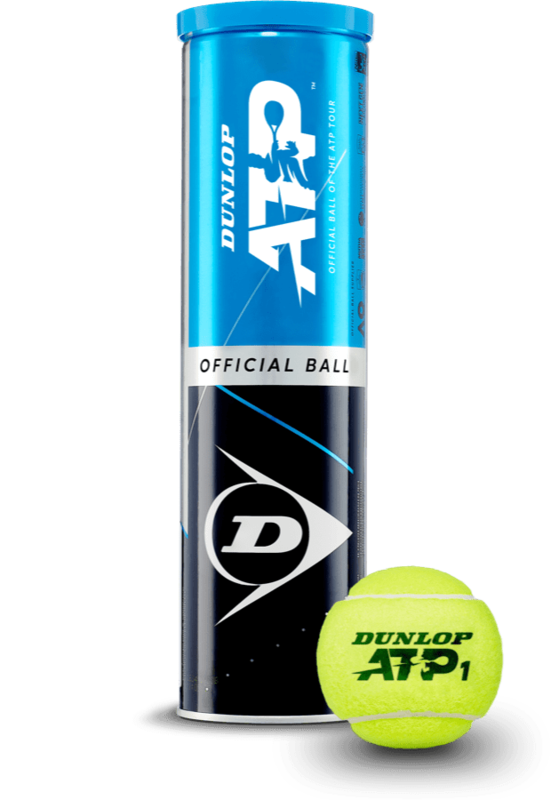 Dunlop is proud to be chosen as the Official Ball of the ATP Tour. It's our mission to give the world's best players what they demand from a tennis ball - enhanced visibility, refined flight and consistent bounce. Welcome to the tour. The ultimate high-performance core from Dunlop. The HD Pro Core is engineered using premium materials to create an ultra-consistent performance for the world’s elite tournaments and players. Ultra-high-specification, ultra-visible cloth technology for the world’s elite tournaments and players. “This new agreement is a testament to Dunlop’s commitment to tennis. They’ve exhibited the foremost standards of quality and attention to detail throughout the process of testing and developing the new ATP Tour Official Ball, which ensures the highest levels of performance and consistency for our players across all conditions and playing surfaces." * Based on Dunlop supplying tennis balls to more ATP Tour tournaments than any other brand.